Definitely, 2013 starts with a big boom at Thecus®. After the launch of the N12000PRO and N16000PRO, the announcement of the 64 bit ThecusOS™ 6.0, the unveiling of the N2520/N4520 and Intelligent NAS utility at CeBIT 2013, it's time for the NVR family to impress the world with 7 new devices with updated architecture to offer superior performances. We here by present you in tower format the V2510, V4510, V5510 and V6810; and for the rackmount category, we have the new V4510U, V8810U and V16810U. 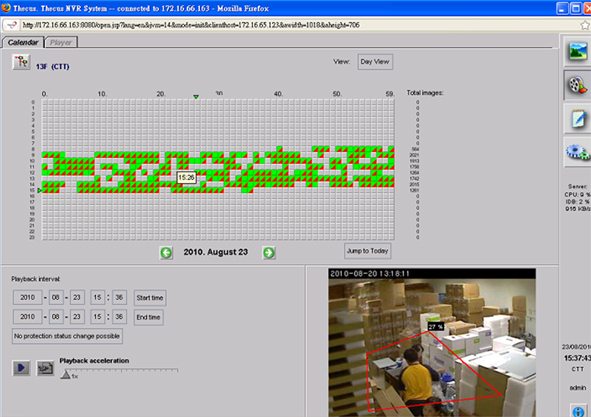 All equipped with the VisoGuard® security system management software developed in partnership with Netavis, these new NVR will offer better performances than ever for all type of users with needs of 2, 4, 5, 6, 8 or 16 bays of storage. Cousin of the N2800, the 2-bay V2510 from Thecus® is also equipped with a 64bit Intel® Atom™ processor, 2GB of DDR3 RAM, features a USB 3.0 port, an eSATA port, a card reader, HDMIand VGA output and is the perfect candidate for home security system management. With its fanless CPU, this unit is also an ecologic choice as it consumes less energy and keeps its noise emission to a low level. 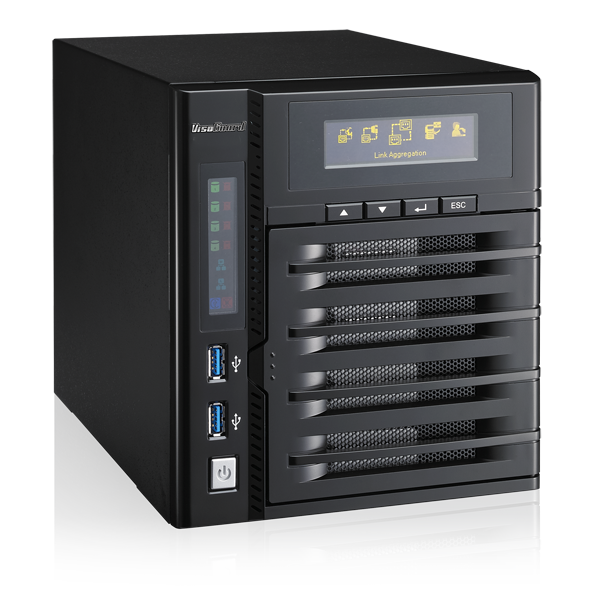 Similar to the N4800 and the N4510U NAS, the V4510 and V4510U are the latest 4-bay NVR option with an Intel® Atom™ processor. 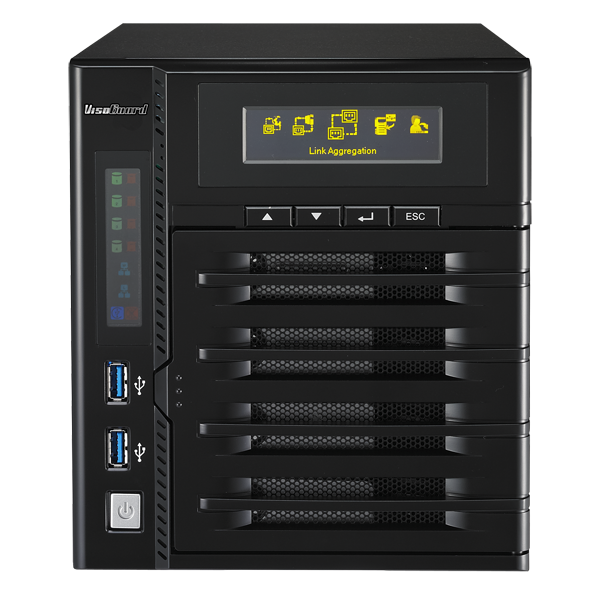 The tower and rackmount both feature 2GB of DDR3 RAM, 2-USB 3.0 ports, one eSATA port, HDMI and VGA output. 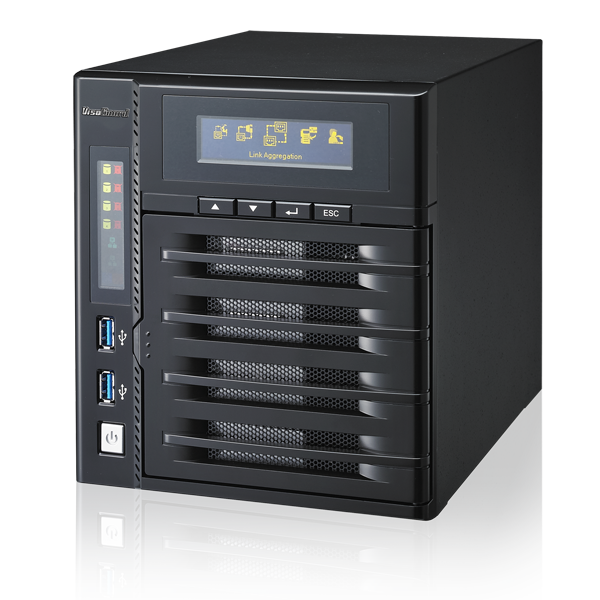 These VisoGuard® equipped little jewels will offer you the most flexibility between tower and rack units with great performances, great connectivity and 4 bays for up to 16TB of storage. Starting from its release in 2012, the N5550 received many awards and is now setting the standard in terms of 5-bay NAS around the world. Due to its huge success, it was an easy decision to transform this high performance NAS into an NVR. Therefore, the V5510 from Thecus® comes equipped with a 64bit Intel® Atom™ processor, 2GB of DDR3 RAM, a USB 3.0 port, an eSATA port, HDMIand VGA output. When it comes to perfect balance between storage and performance, the V5510 will definitely satisfy the home users and SMB alike. 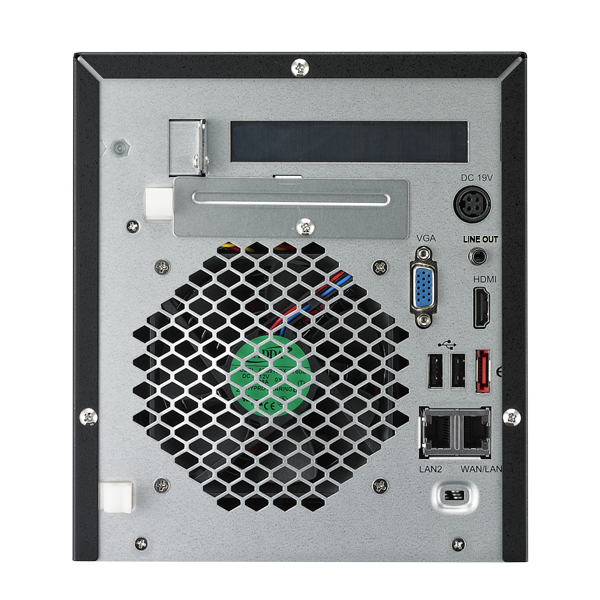 As everyone requires more and more performance from their devices, the V5510 has an available PCI-e slot in the back ready to host more Ethernet ports and provide the users with increase throughput from link aggregation. 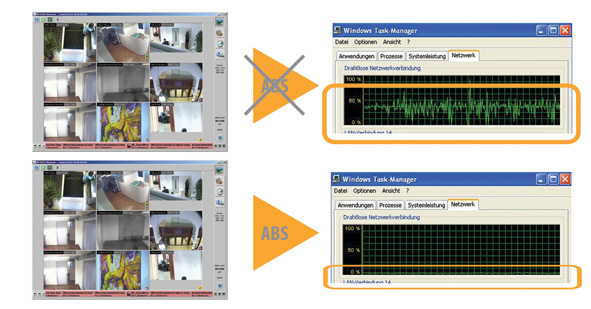 If you are that user who has many cameras to handle, a lot of data to store, no rackmount cabinet and expect fast performances from your network video recorder, search no more! The V6810 will meet your needs. Equipped with an Intel® Core i3 processor and 4GB of DDR3 RAM, this tower format NVR will offer you up to 24TB of storage and processing speed worthy of the best. Intel® Core™ i3 processor, a massive 8GBof DDR3 RAM, standard USB3.0 port, HDMI output, this is what you get in a rackmount format with the V8810U. 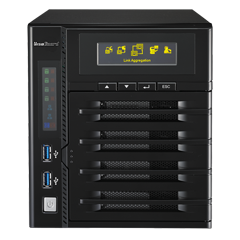 With built-in redundant power supply, this 8-bay NVR makes your data invulnerable to power supply failure. Having enough space for 32TB of storage, many days of storage from a great amount of camera will be recordable to the V8810U. Developing the proper software solution is essential. That's why Thecus® decided to go on with a highly acclaimed partner already well-established in the digital video industry. NETAVIS, “the pioneer of server-based video surveillance with seamlessly integrated video analytics”, offers the best in NVR software solutions, giving VisoGuard® customers a wide array of innovative software tools to make use of Thecus' powerful hardware. Thecus® VisoGuard® line has many features that allows convenience and flexibility when it comes down to security appliances. 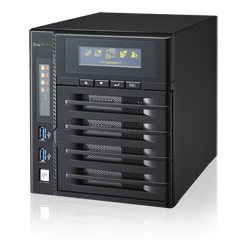 As it is an all-in-one NVR solution, it offers many services such as a network video recorder, real-time monitoring system, and networked storage unit. The new NVR systems are going to adapt the latest Netavis software v4.4. 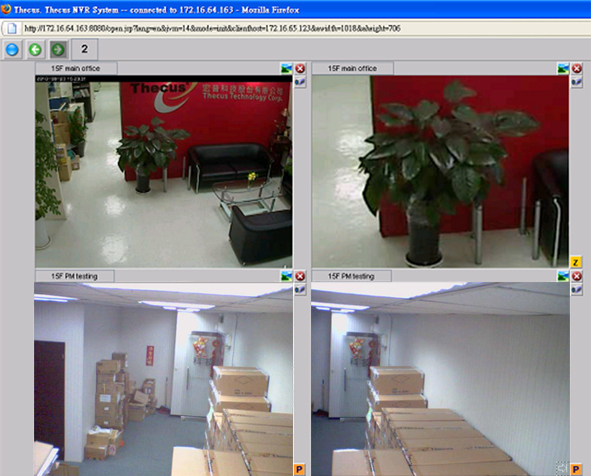 In addition to a multitude of basic capabilities (motion detection, hundreds of compatible cameras, multiple OS support, scheduling, various video format support, PTZ control, and so on.) VisoGuard® NVR comes with numerous advanced functions, providing extensive and formidable functionality while remaining flexible and easy to use.